Links Here, Get Your Links! 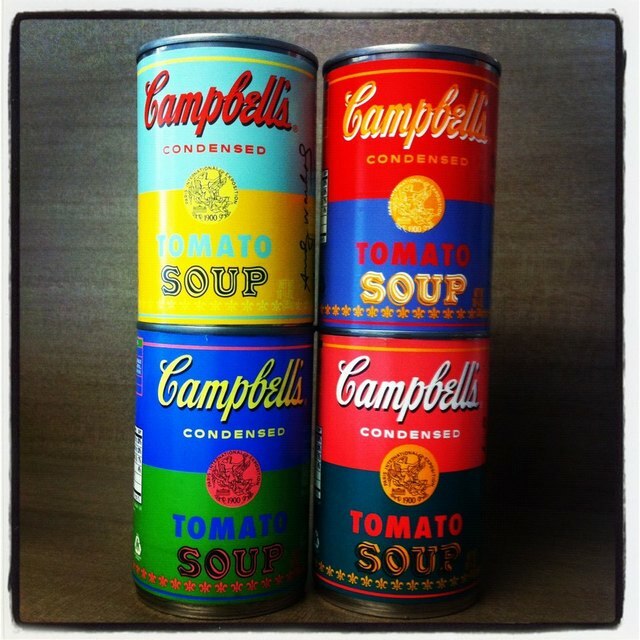 I had to start this week’s links with these amazing Campbell’s Soup cans that will be on sale beginning this Sunday at Target. Obviously Warhol-inspired, I cannot wait to turn them into cliché vases and piggy banks! ♠ I found this blog called “Forgotten Bookmarks.” An antique bookseller posts bookmarks, letters and more found between the pages of old books. I find things like this fascinating. Trinkets from another life! ♠ Here is a list of full moons, whose names and origins are interesting and more rare than today’s Blue Moon. ♠ In these months before the election we all get over-saturated with political media, but the only candidate I can ever fully back is one who enjoys happy accidents. 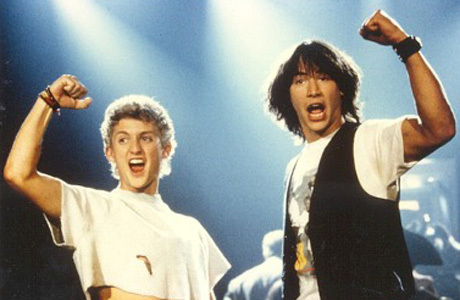 ♠ My friends over at This Cinematic Life had a post this week about fictional movie bands called Cinepalooza, and although they got some great ones, I am always ready to talk Bill & Ted references. Wyld Stallyns always tops my fictional band list. They brought a peaceful, utopian future to the world! Which bands would you add to the roster? ♠ Real Simple is a go-to for me for many, many things (recipes, cleaning help, etc.) but this is a surprisingly helpful place for figuring and decoding anger styles. Who knew? ♠ One more – one of my closest friends is running the Disney 1/2 Marathon this Sunday, and I couldn’t be more proud of her. I cannot wait to see all her photos from the race and what better way to have a Labor Day Weekend than running a 1/2 marathon at Disneyland? Think of all the churros you could eat after!! Any other good things this week?